In partnership with The Whitworth, we are pleased to provide a unique opportunity for people in Manchester and the surrounding areas to engage with our Dance for Parkinson’s programme for a pilot term starting in May 2019. 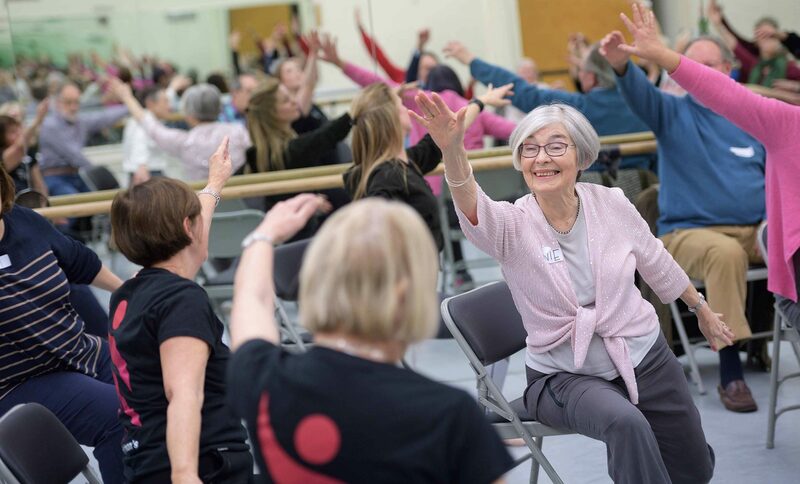 Dance for Parkinson’s Manchester classes will be based on English National Ballet contemporary and classical repertoire, providing a fun and informal way for participants to discover the themes, choreography and music of the ballets. The classes will also take inspiration from the artwork shown in the exhibition spaces at The Whitworth. Being part of ENB’s Dance for Parkinson’s is an absolute joy, the emotion that we uncovered through dance as individuals and then as a group was truly magical, just like the genre of ballet itself. Weekly classes commence on Wednesday 8 May – Wednesday 19 June from 10am – 12pm, including time for refreshments. Please note: there will be no session on Wednesday 29 May. Please call the Engagement Team on 020 7581 1245 or email engagement@ballet.org.uk by Monday 22 April 2019.